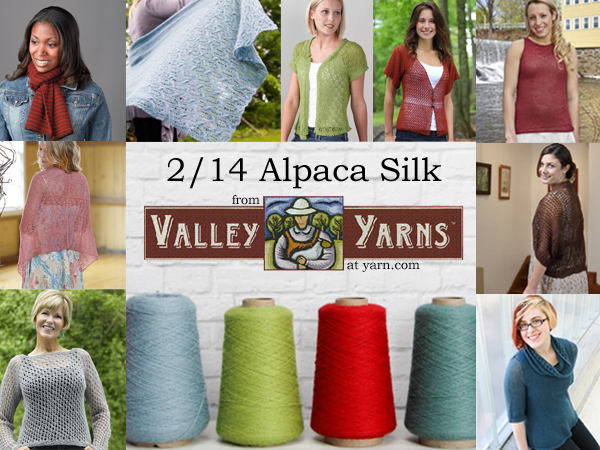 Our 2/14 Alpaca Silk is one of the hidden gems in our Valley Yarns collection. The fact that it’s on a cone gives some knitters and crocheters pause, but let me tell you what a boon that is. For larger projects, and even multiple small projects, it means only 2 ends to weave in at the end of your work. You read that right, only TWO ends to weave in! There’s so much yardage on one of these cones, over 1,700yds in fact, that each cone really can result in multiple projects. Like our Allamanda Shawl. The pattern requires 550yds but with the incredible yardage on these cones you could get three of these shawls out of just one cone! This makes it a wonderful choice for wedding party shawls, or other occasions where multiple versions of the same knits or crochet are needed. The fiber combination of this yarn, 80% Alpaca/20% Silk, results in a lace weight yarn with incredible strength and beauty. The silk gives the yarn durability and a delicate sheen while the alpaca imparts warmth and softness as well as a subtle halo. 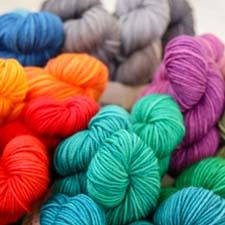 Together you get a yarn that is soft and easy to work with, even in the summer heat, that becomes garments and accessories that are surprisingly warm. Clockwise from bottom left: The Stella Pullover, the Magda Shawl NEW, the Geothermal Tubular Scarf, the Shenandoah Valley Shawl NEW, the Vintage Vest FREE, the October Mountain Cardigan, the Gallica Shell, the Coppice Cardigan, and the Intemporelle Pullover. We have some truly lovely patterns for this yarn, from cozy mid-season accessories to full garments in both knit and crochet. 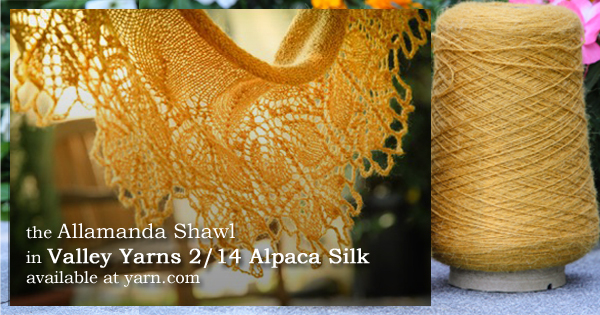 Have you worked with 2/14 Alpaca Silk?